This past month The Mary Ellen Vanaken Team helped to sell a great Townhome in Alpharetta, Georgia. The property, located on Canary Lane, is located in the sought after Townhome community of Hidden Forest in Alpharetta, Georgia 30004. This beautiful Townhome is an end unit with an open large kitchen with stainless steel appliances and an island for gourmet meal preparation. Hardwood floors throughout the main level and the family room fireplace draw you into this sun filled home. The master suite is relaxing with a sitting area for reading and a large master bath is complete with a tiled shower and double sinks. The homeowner is thrilled with an upstairs laundry room convenient for keeping everyone’s wardrobes at the ready. The community of Hidden Forest is located in Fulton County Georgia in the town of Alpharetta. An easy drive from Georgia Highway 400, off Morris Road. Children who live in Hidden Forest attend the following schools: Manning Oaks Elementary School, Hopewell Middle School and the sought after Alpharetta High School. Gated Hidden Forest amenities include a Homeowners Association, pool and pet park. 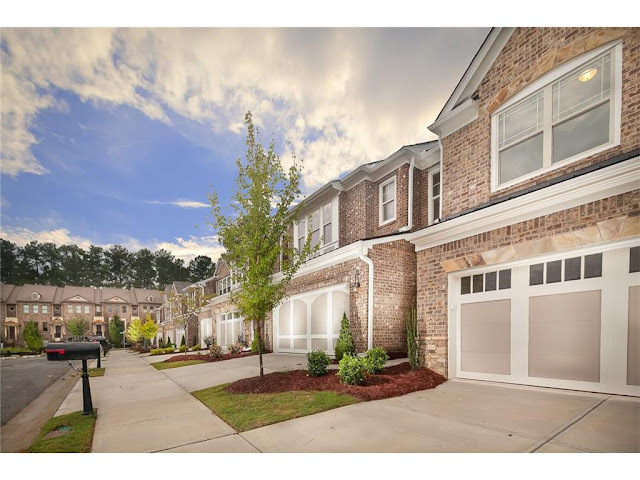 ALPHARETTA GEORGIA TOWNHOMES FOR SALE - $200,000's - click picture below to see what is on the market today!